Planning your bathroom renovation can be a very daunting task especially when you do not know where to begin! 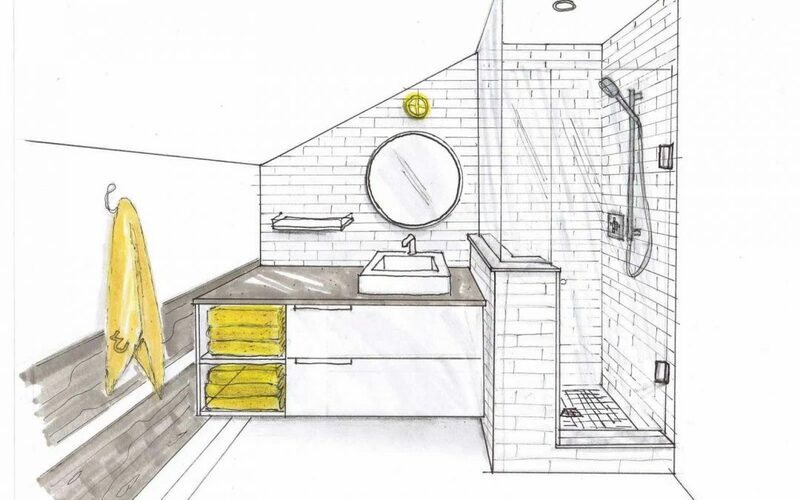 Follow our step by step process to get that perfect plan for your bathroom renovation. Do you only want a few fixtures or all of them replaced? Are your floors looking shabby and need replacing or are they staying? Is the design of your bathroom quite dated or do you like the look of your bathroom? Do you want 1 bathroom renovated or do you want all of them done? Do you need the layout changed to make your bathroom just a little bit more spacious? Write your answers down in your notebook so you have clarity on what is going and what is staying. Research is always the most important aspect of any renovation. If you research is not thorough then you are most likely going be full of regrets in the future. Read online articles, and book specific to the kind of bathroom you are renovating. Look at what other bathrooms with a similar space look like. Go to a few shops around Auckland to see what kind of fixtures you like. If you are after a certain look, then look around your home or other furniture shops to see if you could reuse cabinets and vanities for your bathroom. Don’t get too carried away with trends. When you research styles online or otherwise you will realise that there are certain looks that you are not fond of which will help you narrow down the look you actually want. It is also a good idea to compare prices for the things that you do want to change in your bathroom. You might like see if you could get cheaper but high quality alternatives to premium branded fixtures. Many Auckland shops stock premium quality materials and fixtures which are in fact of better quality than their Italian counterparts. Our advice to clients is always to keep the plumbing the way it is and only changing it if absolutely necessary. Changing existing plumbing can put an astronomical strain on your budget. Try and plan your layout and design around your current plumbing to stay within your budget. Most renovation companies will give you plenty of options in term of layout and design. Also don’t forget to do your own research. If you are making small changes to your bathroom then it would not be such a bad idea to make the changes on your own. However it is always best not to try and renovate your bathroom on your own based on a YouTube video. Sometimes it is best to leave certain things on the professionals. Ring a few companies before you decide on the one you want to employ as your bathroom renovators. Don’t rush things, get a few quotes, talk to the owner of the company and make sure they have understood what you require before signing the contract. A good renovation company would typically have a free consultation; give you detailed drawings of your plan, giving you options on designs and material before asking for a deposit. We always tell our clients to talk to several companies before deciding on which company to choose.